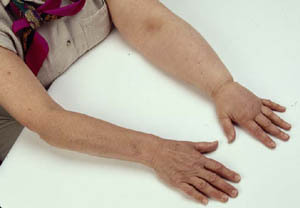 Over the years, I’ve heard many people talk about the length of time it takes to wrap their arm (or leg) for the night or during active therapy. In fact, if you go to this video, a breast cancer survivor shares her experience with wrapping. It is time consuming. Is there another way? Yes! There are several solutions by different manufacturers which involve an inner sleeve with outer sleeves that offer compression and use velcro straps for ease of donning. For someone who struggles with mobility which is often the case especially right after surgery, these are a godsend. 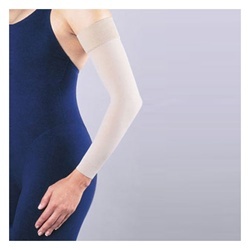 Another use of the compression garments is for those that are in active therapy to reduce the swelling. This the stage when bandaging is the option until the swelling has stabilized. At this point, the therapist is able to write a prescription for a compression sleeve which can then be worn in place of the bandaging. 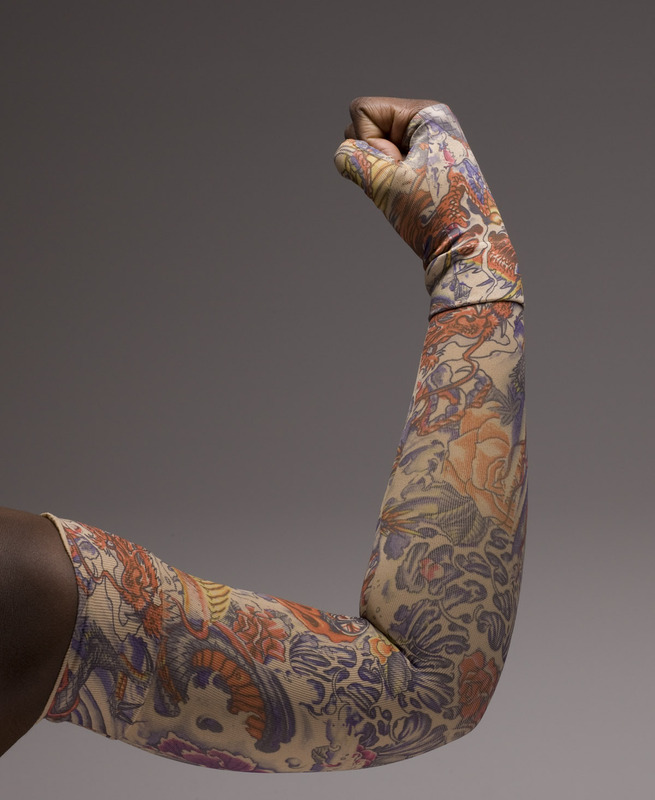 Lymphedema is never an easy side effect of cancer treatment, but more and more, there are ways to make this situation easier and more fashionable, if one can even imagine wearing a compression sleeve as fashionable. 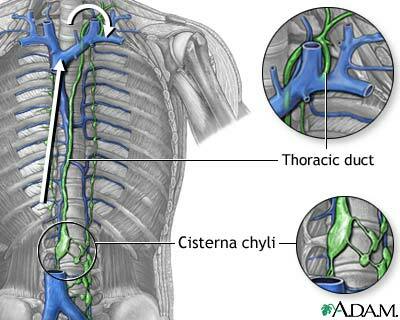 And this applies to other extremities as well, such as the leg and the torso. The Cancer Help Blog took a sabbatical – time to think through priorities and in the process, we have returned with more information, a site overhaul, and a new online magazine – the Cancer Help Hub. We look forward to your feedback. 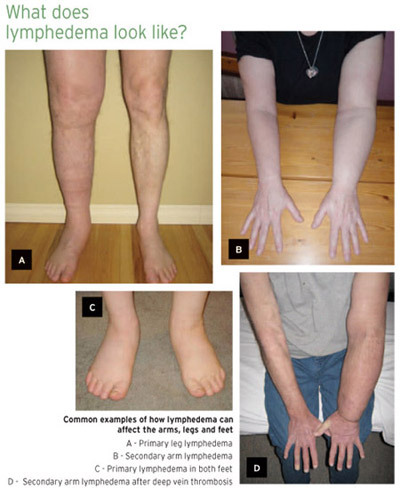 So, my pet peeve is Lymphedema. It seems that time has not made any major impact in how this information is shared. The sad thing is that with information up front, there are ways to reduce the risk of getting lymphedema and avoid lymphedema treatment which will be ongoing. There is no cure for lymphedema. AND NO MATTER HOW LONG AGO YOU HAD TREATMENT – YOU ARE STILL AT RISK!!!! Wouldn’t you want to know, especially when lymphedema means having to wear compression garments for the rest of your life? I know that I take care because I don’t want this to happen to me. If you are not sure how this may impact your life – download your FREE report ‘The OVERLOOKED and UNDER-ADVISED MAJOR RISK OF CANCER TREATMENT TODAY’. You will be amazed! 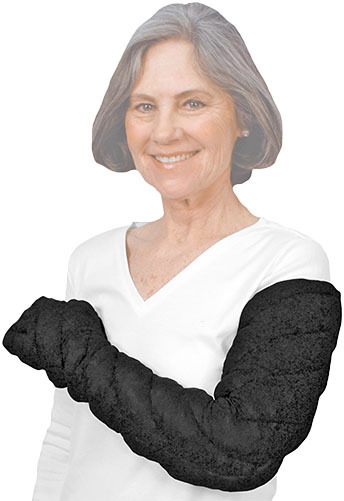 These two words are not always associated together when wearing a lymphedema sleeve as they are normally flesh toned to blend in rather than stand out. 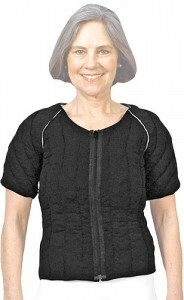 Some manufacturers have come to realize that some women want to make a fashion statement – or just a statement. 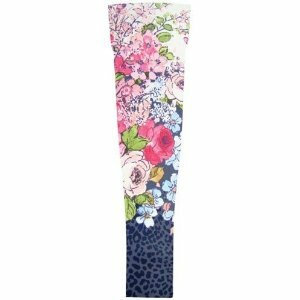 Now you can see lymphedema sleeves in solid colors and even fancier ones with patterns to suit your outfit, mood or occasion. 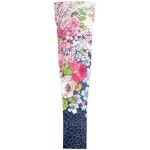 One manufacturer has designed sleeves that are lighter weight but still have the same compression, are made of wicking fabric for summer or hot weather wear, and come in many fabulous patterns. If you already have lymphedema, you will know what I am speaking about. You might as well make the best of a now lifelong management plan and have some fun. Enjoy exploring new options.